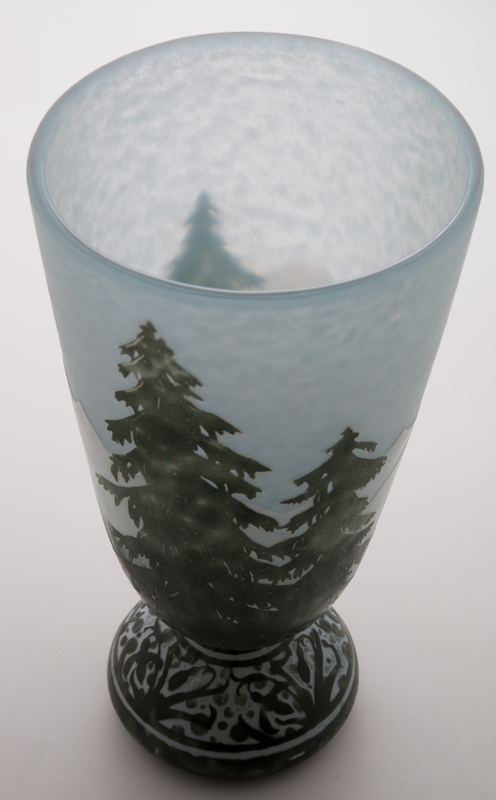 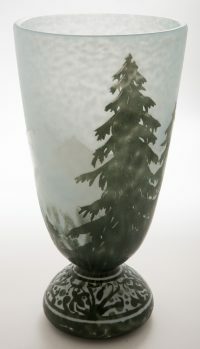 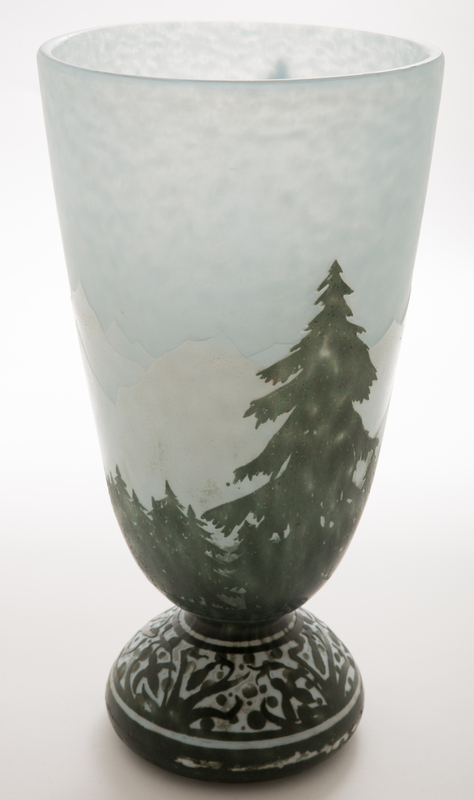 Here is a footed Daum vase with green cameo pine trees and white snow-capped mountains. The design is set against a classic light blue sky that was used by Daum for several other very popular scenic landscape vases. 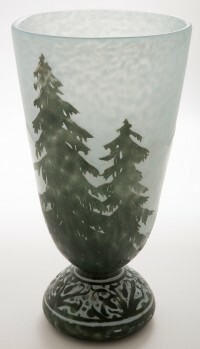 The foot of the vase is also decorated with cameo flowers, stems, and leaves. 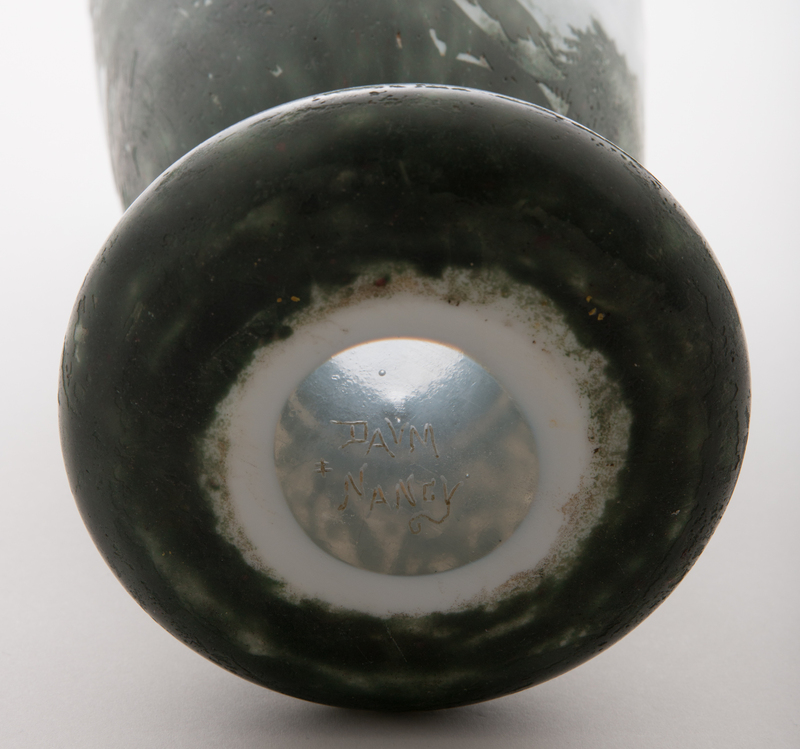 Incised signature of Daum Nancy with cross of lorraine on underside of base. 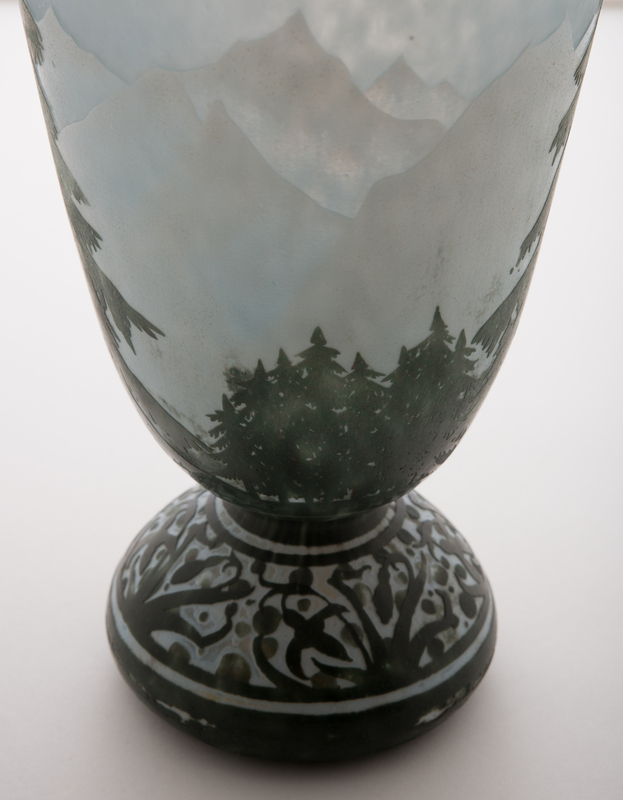 11.5 inches tall.